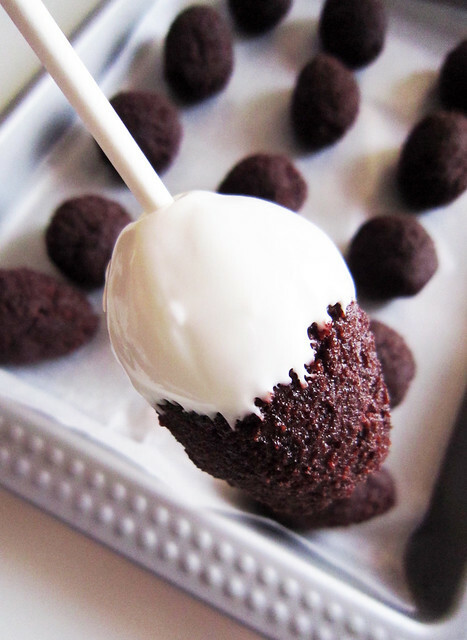 If you haven't heard of or tried a cake pop- you are missing out! 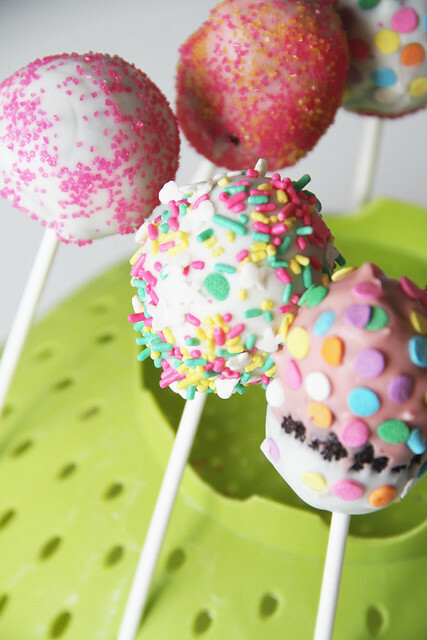 They are like a lollypop with cake in the middle and a hard candy coating on the outside and they are all the rage right now- they are EVERYWHERE! There are a number of ways to make them and of course I make mine the quickest and easiest way so I can save my time for creative decorating. 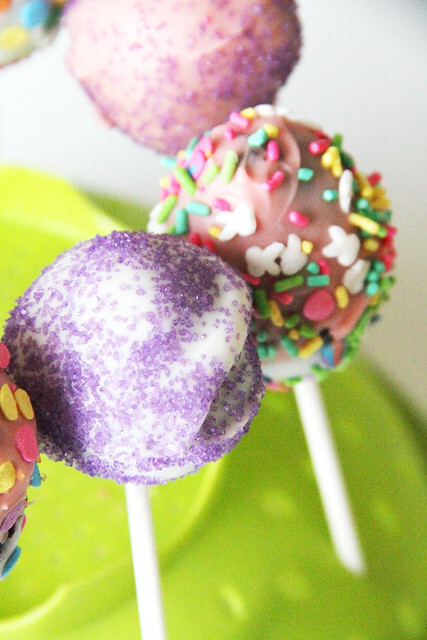 Lately I have been playing around in the kitchen making cake pops and with Easter right around the corner I decided to make a batch with a spring and Easter theme! 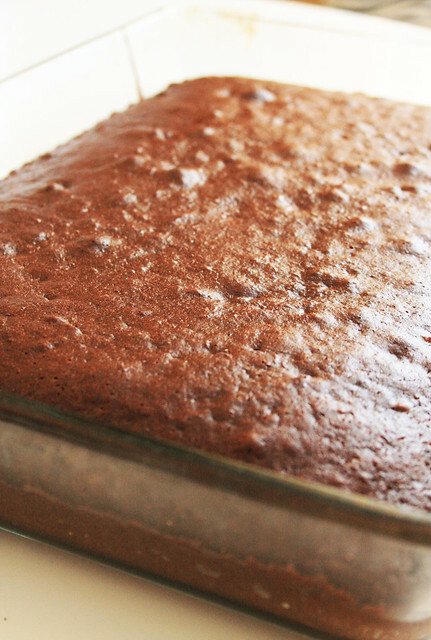 Start by baking a boxed cake mix and let cool completely. 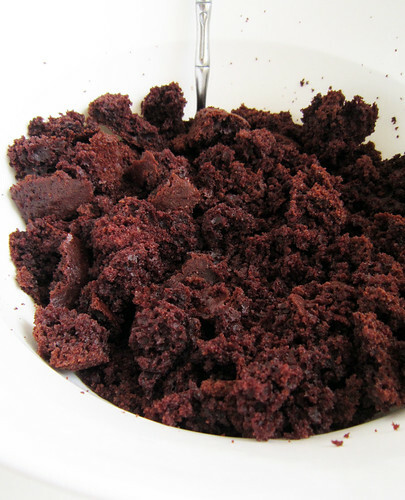 Add frosting to the cake crumbles (about a can of frosting) and mix together. Put mixture in the refrigerator for about 1 hour. Roll mixture into balls, I also rolled and shaped them into egg shapes. 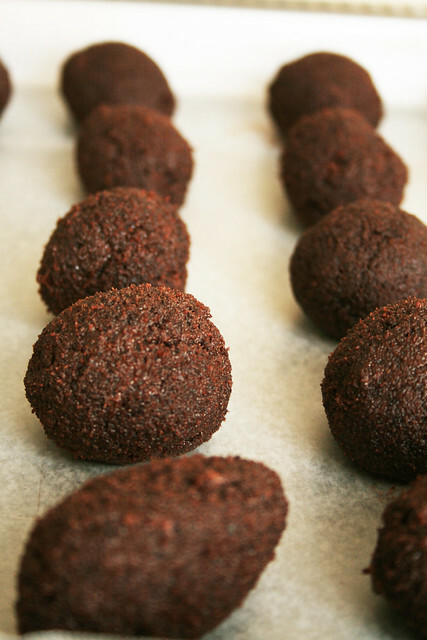 Put the cake balls into the refrigerator for another hour or an even quicker option would be to put in the freezer for about 15 minutes. 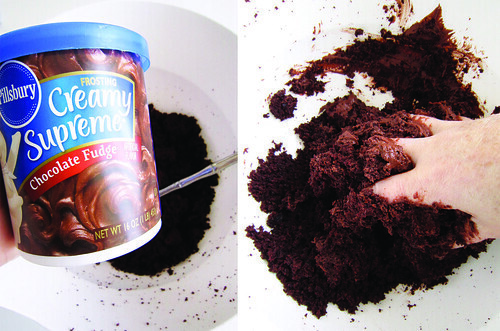 The next step is to melt Candy Melts (or even chocolate) to use for dipping. 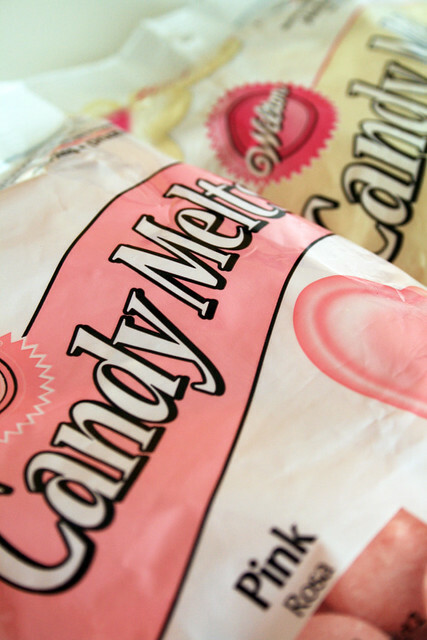 I used Candy Melts because they are easy to melt wafers for candy making, dipping and melting and are available at a variety of stores. and then added the stick and dipped the top. 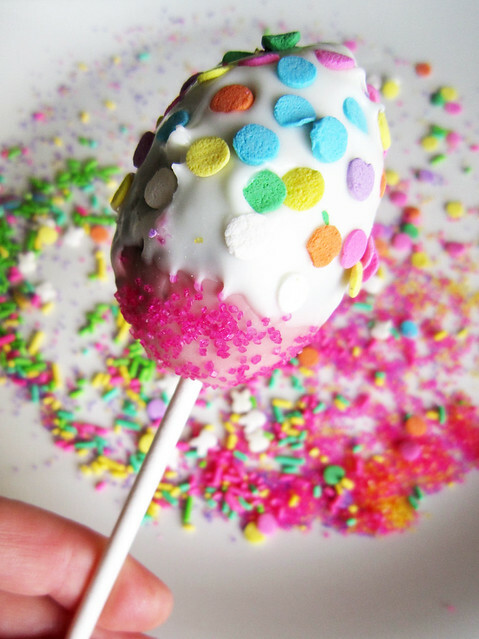 I used all kinds of colorful sprinkles to decorate the cake pops. 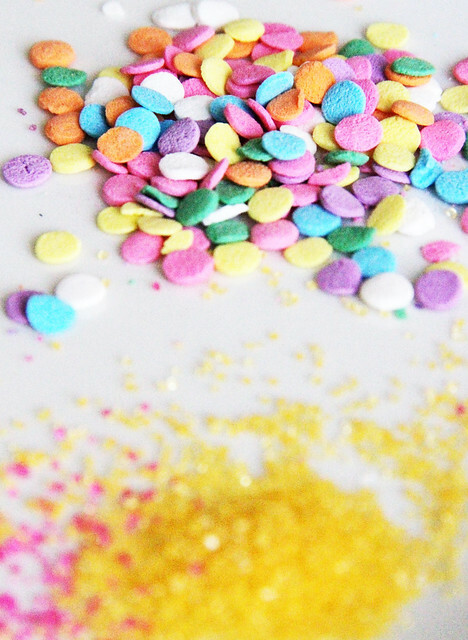 Its a little tricky because you have to decorate before the candy coating hardens. 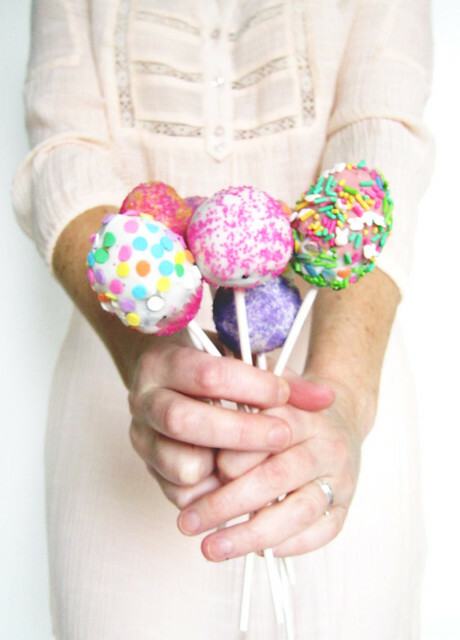 I decorated my egg shaped cake pops like Easter eggs- how fun would they be in an Easter basket? 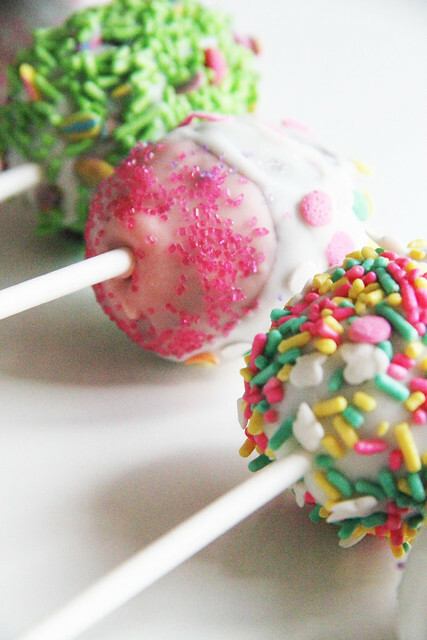 I used a variety of different sprinkles to decorate all the cake pops. 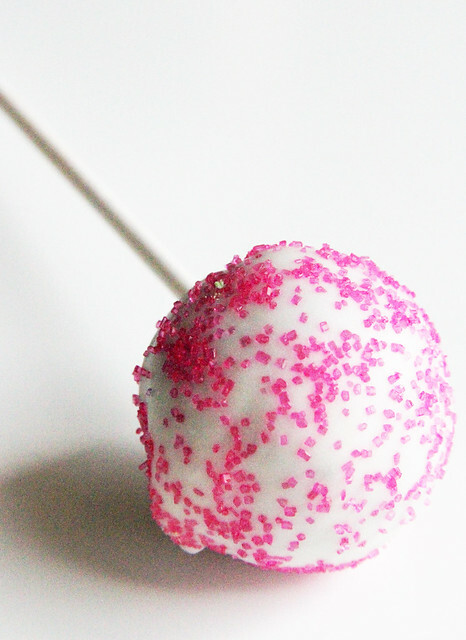 and I used a colander to hold the cake pops up while they hardened. Last, I used little candy bags and ribbon to seal up the pops. 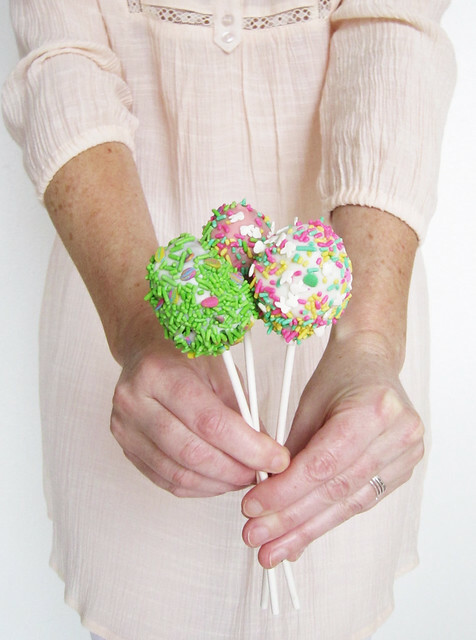 They are just so pretty and delicious- perfect for a spring party, Easter treats or just a fun dessert! What a lovely idea - thanks for sharing. I imagine, to save time, you could use a ready-made store bought cake too! this is by far the simplest way I've seen to make these! I'm going to be trying these over spring break! Alisa, thanks so much for posting this!!! I have to host a sweet 16 party next week and have been trying to think of something amazing to do, this just might be it!!!! thank you for this good idea ! my son can't eat chocolate (he's allergic) so I will bake a cake he can eat and frost it without chocolate ! and your photos are great, as always ! I love it!! I can't wait to try this! Love the colors! 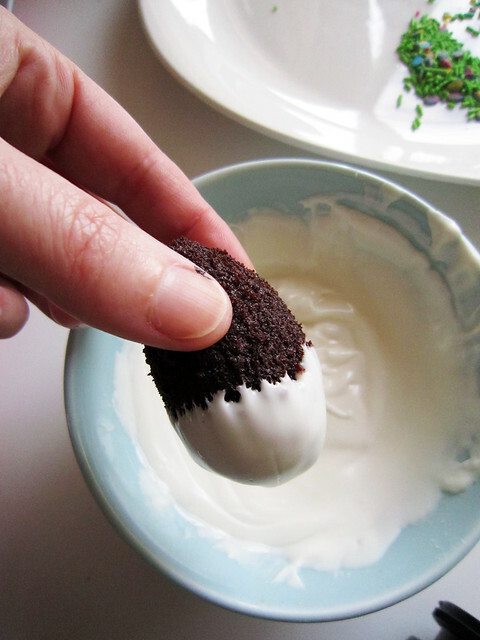 What a fun idea =) Might have to try theses for easter! Thanks for the idea! oh my heavens! (I resort to my grandmother's expressions when I'm speechless, I guess) these are soo adorable. 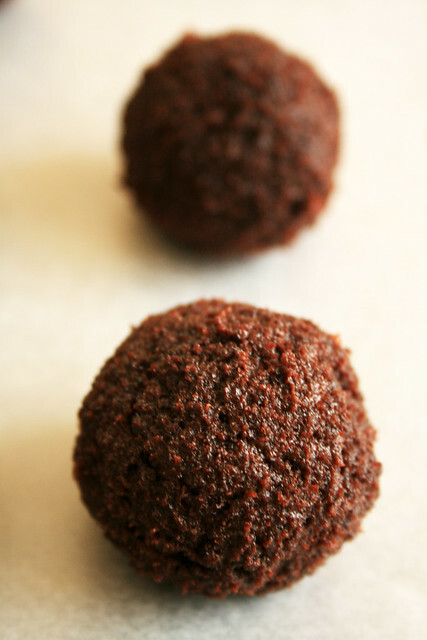 and I've never seen them or tasted them, but now I can't wait to make them. totally fun. 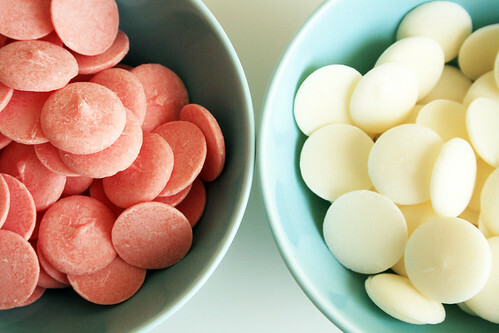 These look incredibly yummy! Thank you for the lesson! ** Thanks for the other recipe too roberta! i always wondered how these were made! thank you thank you! So dang cute!! These would be wonderful for Easter and Spring! So glad that i found you via The Crafty Crow! They are beautiful and sound so very yummy. I can't wait to try them. They will be a hit with my family for sure. Gros bisous merci pour vos généreuses photos. Cake pops make me fat...but so so happy! This is such an *amazing* idea...I normally do not cook but I have to try this, thank you for inspiring me and for posting this recipe! So cute! I made these last year, but they weren't nearly as cute as yours!! Pretty!!!! Your photography is GORGEOUS! Thanks for sharing! awesome idea!! I am going to try for easter instead of the plain ole eggs. omg awesome idea!! going to try this instead of the plain ole eggs. 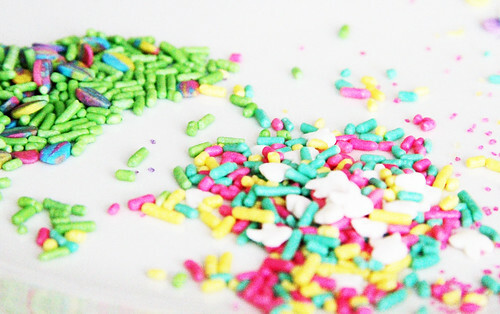 The purple sprinkle one you made is my fave..
Oh my goodness, how lovely are these! What a great idea, thank you for sharing. I think I will do these for Easter! LOVE THIS. My daughter's b'day is next week, I want to make them for her.... Question - where did you get the sticks? how clever to use the colander to dry them. Oh, perfect! 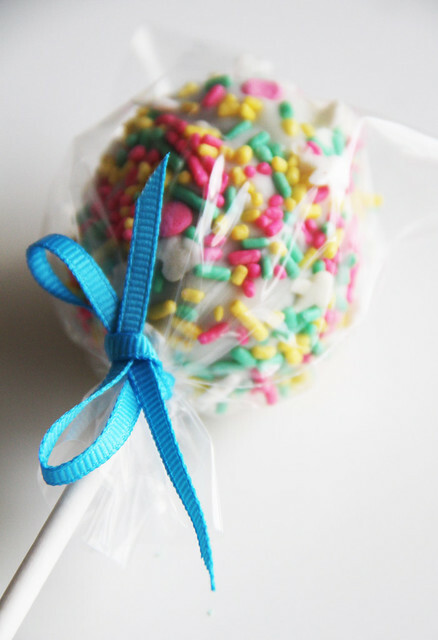 Great idea, just in time for Easter and would make a perfect treat at my daughter's birthday party! Thanks for sharing! Oh my NERVES, how fun are these!! Yum yum yummo! They had similar (though not NEARLY as pretty) pops at Starbucks this weekend. My 7 year old saw them and nearly climbed out of the car to hunt them down! This is soooo much better; he's gluten-free, and quite creative, so now he can make his own! Thank you Alisa! Alisa! Those are BEAUTIFUL! I'm going to make some this weekend FOR SURE. What a perfect excuse to go check out that cake supply store I just found :) Thanks so much for sharing! Very pretty. I'd make my own frosting, though, because all the commercial ones have transfats. None of this stuff is overly healthy, but I really try to avoid transfats whenever possible. I used your recipe/technique to make some cake pops for my birthday to share with my family and co workers. They were a huge hit. Love this idea!! We featured it on our blog today! 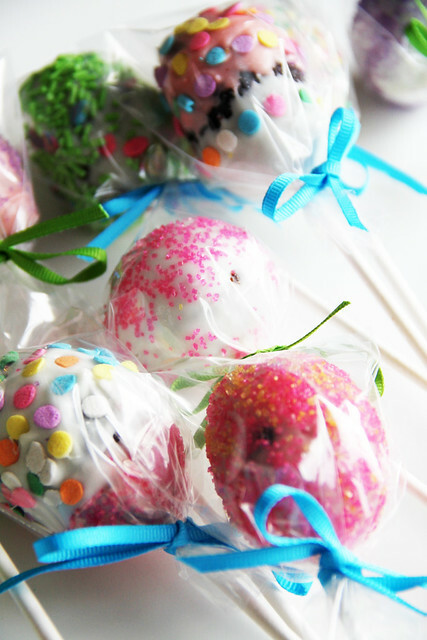 My nieces (12 & 14) and I made cake pops this past weekend. They were a big hit at easter dinner today. My kitchen looks like a disaster area! My 14 year old niece has become a regular reader of your blog and this summer we are planning on baking and playing in the kitchen as much as possible! Wow! These are looking great. Nice job! Very nice. It really spice up our tastes. These ideas cannot wait to try some of these with my girls.